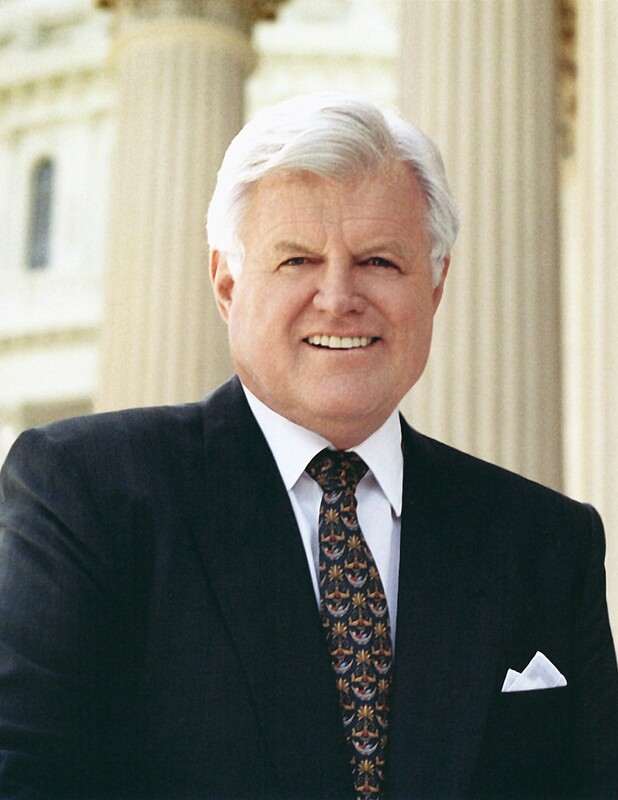 Scandal is not unknown to the fabled Kennedy political family, but of all those controversies that engulfed the family in their long public life, the one that occurred in 1969 on Chappaquiddick Island is the only one that resulted in someone's death. Chappaquiddick, made nearly forty years after the fact, is a tragedy of conscience for all involved. 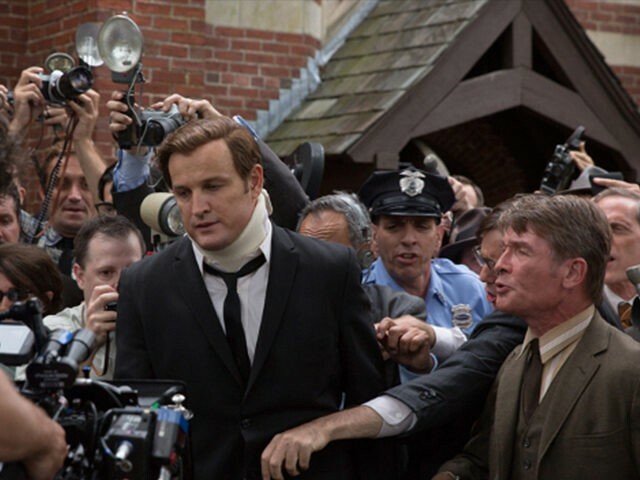 Edward 'Ted' Kennedy (Jason Clarke) is permanently in the shadow of his dead brothers Joe Jr., Jack and Bobby Kennedy. As America watches the Moon landing, inspired by his late brother former President John F. Kennedy, he is on Chappaquiddick Island with 'the Boiler Room Girls', secretaries that worked for his late brother Robert F. Kennedy's 1968 Presidential campaign. One of those Girls, Mary Jo Kopechne (Kate Mara) is debating whether to go and return to politics working for Ted, despite her disillusionment with the system after RFK's assassination. Ted, who knows his way around women, seems to be on the verge of talking her into things when they leave, ostensibly back to mainland. That's when the accident happens: the Senator drives off a small bridge, the car lands upside down in the water, and Ted manages to get out. After that, however, things are very murky and very ugly. Ted manages to get back to the house-party, where he sadly tells his cousin/lawyer Joseph Gargan (Ed Helms), "I'll never be President". Gargan and their mutual friend, State Attorney Paul Markham (Jim Gaffigan), attempt to rescue the doomed Kopechne, but they could not reach her. They beg Ted to report the accident, and he says he will, but once he gets back to the mainland he goes to call his father, then bathes, sleeps and eventually starts to have breakfast with people he knows. Meanwhile, Gargan and Markham can hear the roar of the police, who have already been notified by others about the accident. In turns enraged and fearful about the growing crisis, they push Ted to finally report what people already know. The local sheriff seems very accommodating, and things appear to be going well. However, Ted cannot get out of his way, making things worse by his confusing and contradictory statements. 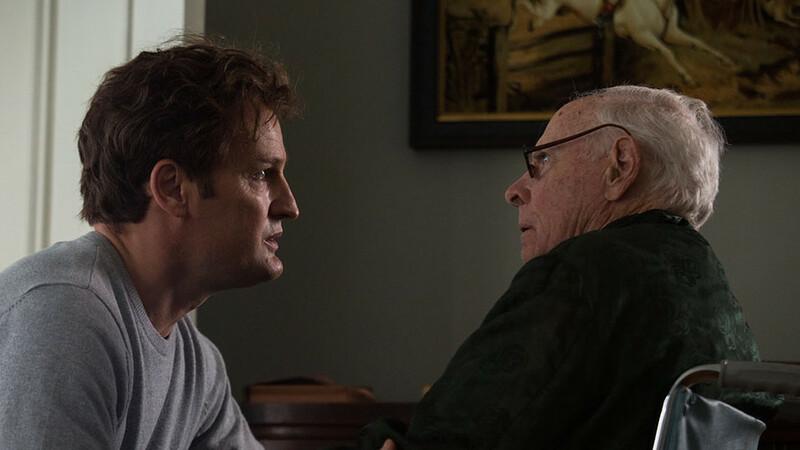 In comes his stroke-afflicted father, Joseph P. Kennedy (Bruce Dern), who is clearly displeased by his only surviving son's bungling. Enter longtime Kennedy staffers, who will work to extricate Ted from the chaos of his own creation. They themselves make ghastly mistakes, such as telling 'sympathetic' reporters that Ted has a concussion and is being treated with sedatives, unaware that such a thing would actually kill a patient. Defense Secretary Robert McNamara (Clancy Brown) at one point snaps at all of them that the Bay of Pigs was better organized. At Mary Jo's funeral, Ted gets it into his head that wearing an unnecessary neck brace will bring him sympathy, but it soon is clear it's all a rouse. Despite this, the Kopechne family still holds no overt grudge and the other Boiler Girls remain loyal. Gargan looks on all this with growing disgust, seeing that Mary Jo is being forgotten in an effort to save Ted and his probable 1972 Presidential run. He tells Ted, who has been like a brother to him, that he will not be part of any of this, but Ted tells him that when he finally releases a televised statement, he will resign his Senate seat. When we get to the actual statement, however, Ted opts not to read the resignation Gargan wrote for him, but the more polished speech by longtime Kennedy loyalist Ted Sorenson (Taylor Nichols). We see that Kennedy kept his Senate seat, though he never became President. Chappaquiddick was probably softer on Ted Kennedy in that it shows him as weak and almost childlike in his attitude and yearning for his father's approval. It does not shirk from showing Kennedy in an almost pathetic light: his statement about how now he'll never be President sounds as if he's resigned to this fact and sorry for himself rather than in the fact a woman is suffocating slowly, terror of her predicament engulfing her as the waters rise. Perhaps the most overtly symbolic signaling of what kind of man Ted Kennedy was is when Gargan goes to speak to him while Kennedy is on the beach. Ted is there, blissfully lost in his kite-flying, the problems of the world floating far above him while on the ground and in the water, destruction and death are all around. Ted, lost in his happiness, seems content to let others fix his problems. This is not a glowing portrait of The Lion of the Senate, but of a weak man. Chappaquiddick is less about the actual accident and more about the cost of loyalty and power, and how far people are willing to go for those things. 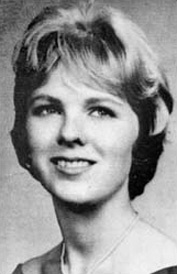 There are many sad and chilling moments, particularly when we see the dying and terrified Kopechne in the car, praying the Hail Mary with its call for the Mother of God to pray for sinners 'now and at the hour of our death'. For me though, the coldest scene is right after Gargan tells the others at the house-party about the accident and Mary Jo's death. They first start to cry, then one of them collects herself and asks, "What can we do to help the Senator? ", as if she is aware that Ted Kennedy caused Mary Jo's death but that despite that, it was he and not Mary Joe who was the one needing saving. Clarke as Kennedy is a little hit-and-miss with the distinct Massachusetts accent, but he does a wonderful job portraying the at times insecure, at times shockingly dim and insensitive man-child. Clarke shows a man who is perpetually pushed by others, down to his frail father. He has one scene with Dern which shows how Ted really was not cut up for the job fate and family foisted on him. Coming as close to standing up to his father as we will see, he tells Joe, Sr. that his brothers were great not because of their father, but because of themselves. Joe, Sr., pulls him close and fights through his stroke to deliver his verdict on his last son: "You. Will. Never. Be. Great.". What really surprises and sells Chappaquiddick is Helms as Gargan, the closest thing there is to a moral conscience in this world. One wouldn't think Helms, who is mostly known for comedy (good and bad) would have it in him to play a complex and tragic, almost Shakespearean character, a man loyal to his family and their cause but also appalled by how a dead woman is getting swept away to save someone who is pathetic and even reprehensible. Helms' best scene is when he gives his cousin the resignation speech that he finds Kennedy won't deliver. As Kennedy bizarrely compares himself to Moses and Peter, pointing out that Moses had a temper and Peter betrayed Christ, Gargan snaps back that Moses didn't leave a girl to drown in the Red Sea. He is pushed into holding the cue cards for the 'sincere' moment of Kennedy's statement, where he rather than resign asks the voters to let him know what to do. Here, we see that Gargan has been pushed to go along with something he finds repulsive, but who is also part of a machine that is more interested in saving face than saving lives. Though in a smaller role, we get a similarly surprising turn from Gaffigan, who is best known for his dry, wry observations on family life. Chappaquiddick shows that there is untapped potential in Gaffigan for more serious, dramatic work. Chappaquiddick, in Taylor Allen and Andrew Logan's screenplay, concentrates on both the case and media manipulation and the privileges of power. We see this when the Kennedy grandees hold court in their smoke-filled rooms, berating Ted's staff for 'bungling' efforts to put a positive spin on things and working out plans to save Ted's political career. To them, the dead girl is unimportant. I'm not sure the courtiers Sorenson, McNamara, or Ted's brother-in-law Sargent Shriver ever mentioned Mary Jo's name. To them, the only thing that was important was that this did not damage Ted's presumptive 1972 Presidential run. We even get some humor, as when the Kennedy Courtiers decide on Ted's medical condition, while the poor doctor they've summoned states, partially in shock and partially in puzzlement, "I haven't even examined the patient". Their arrogance is not diminished even after the journalist on the phone tells them the mix of concussion and sedatives would kill the patient. "Didn't you consult a physician? ", he asks incredulously, to which they respond with a dismissive 'Of Course! ', unaware of how foolish they all sound. Director John Curran perhaps could have focused on Gargan's story, making him the eyes to this tawdry world. However, he also had some wonderful visual moments, particularly in the end when we read the text that tell us of Ted's failed run in 1980 for the Democratic nomination. We see this as we linger away from the bridge and overturned car, reminding us that Kennedy's long career came at a shocking price. One leaves Chappaquiddick in sad silence, shocked by the whole sordid affair. The audience with which I attended the screening sat in their seats for several minutes into the credits, perhaps like myself, needing some time to process the devastating turn of events that left a girl dead and worse, through archive footage, barely any real objection from the constituents. The film is not perfect. You never hear from Ted's long-suffering wife Joan or his equally long-suffering mother Rose. Truth be told, Chappaquiddick has few female roles, apart from Mary Jo and the Boiler Room Girls loyal to the death. 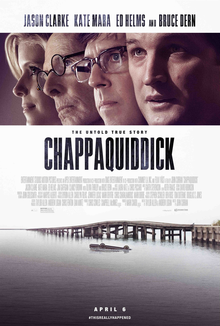 However, with some strong performances from Clarke, Helms and Gaffigan, and a still-impactful story, Chappaquiddick is a tale that should be told and better-known, and not so much on sordid gossip or the faux-notion of a 'Kennedy curse' (which Ted skillfully or cynically uses to his own benefit). Rather, it is a good film on the power of media manipulation, the corruption of power and how sometimes how people are willing to sacrifice honor and even lives so that 'the cause endures, the hope goes on and the dream shall never die'. In 2016, future President Donald Trump proclaimed loudly that he could shoot somebody in the middle of Fifth Avenue and not lose any votes. That hopefully will never be tested out. However, it appears that in 1969, Senator Edward 'Ted' Kennedy could leave a girl to suffocate, slowly, in terror underwater, and not lose any votes.